Members of the Bisaro Plateau Caves Project review the MEC gear that accompanied them into Canada’s deepest cave near Fernie, B.C. Venturing 670 metres into Canada’s deepest cave requires some serious equipment. And since most of the gear we haul into the Bisaro Anima Cave near Fernie, B.C., eventually has to come back up, we can only carry the essentials. 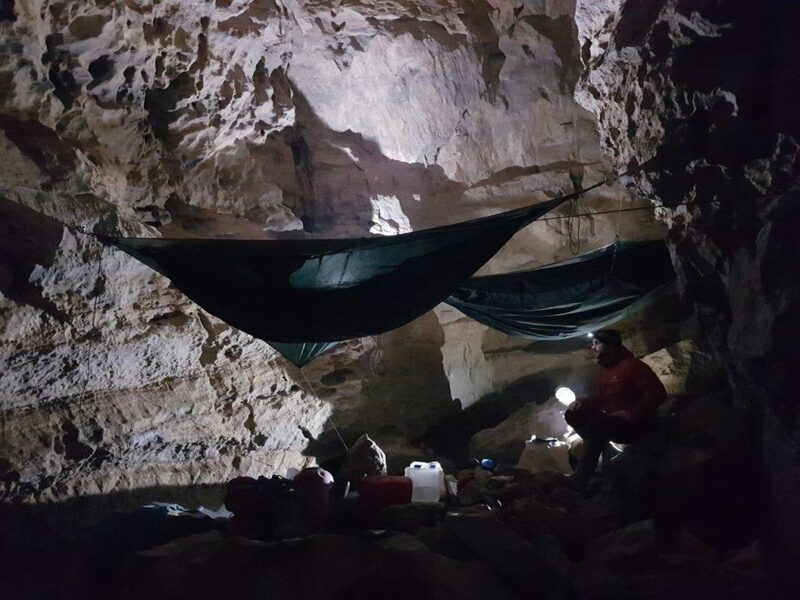 Throughout the history of our multi-year, multi-team expedition, and The Royal Canadian Geographical Society’s 2018 Expedition of the Year, four underground camps have been established, three of which were used in 2018 as we continued to explore this remarkable cave. 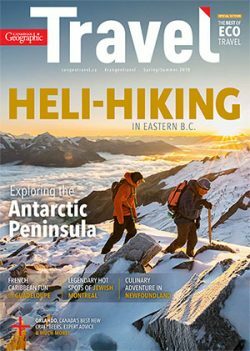 Below are some of our favourite pieces of equipment we used last year, courtesy of Mountain Equipment Co-op, the official outfitter of RCGS expeditions. The MEC Centaurus sleeping bag was our sleeping bag of choice inside Bisaro Anima this year. The camps have an average temperature of 2 C, but can get even colder when there’s a draft. High humidity and dripping water means that our sleeping bags are perpetually damp, while drafts give a constant chill, especially to cavers wet from a day of exploring underground streams and waterfalls. With that in mind, the synthetic fill and weight of the MEC Centaurus was enough to keep me warm, even in my light base layers for sleeping. The bag is fairly light, another important consideration when carrying equipment deep into a cave. We repacked our sleeping bags into watertight drums for transport through the cave, and the circumference of these loads was just small enough to fit through the tightest squeeze on the main route to Camp I, at 320 metres below ground. I also appreciated the sleeping bag’s simple features: a hood with drawstrings to cinch around my face, a small pocket for belongings, and zipper pulls that glow in the dark. In the end, comfort was the feature I most appreciated, and this bag delivered in tough conditions. With uneven floors and confined spaces, each camp in Bisaro Anima only fits three people at a time. There are no flat spots, and boulders are too heavy to re-arrange. 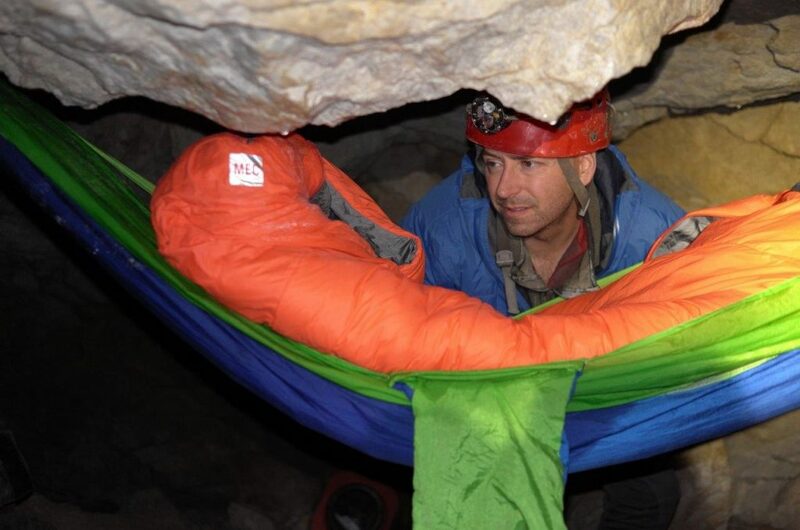 A hammock is a great solution for a comfortable sleep, since the cave walls are close enough to suspend it, and I stay off the cold, damp and uneven floor. Though I’ve slept in Bisaro Anima in a regular hammock, getting in and out was a chore, and shifting around in a sleeping bag at night is dangerous if you fall out. (Seriously. There’s a pit at one end of Camp II!) Enter the MEC Hennessey Hammock Expedition. It’s completely enclosed, so there’s no way I could fall out, and it has a rain cover that kept me dry under the constant drips from above. Our team used two variations of the Hennessey Hammock: the classic model and the zipper model. The classic model uses a Velcro closure for entry and exit on the bottom of the hammock, which means you have to move your sleeping pad and bag to the side to get in and out. I was suspicious of the Velcro closure right underneath my sleeping pad, concerned that it would come undone while I was sleeping (and cause an unwanted exit!). But the hammock is well-designed, and tension kept the Velcro closed until I forced it open. For slightly more money, the zipper model does away with the Velcro. The advantage is that the zipper is located at the side seam between the bottom fabric and a mosquito mesh. Setting up the Hennessey looks like it would be a chore, but the cords and attachments for the rain fly were actually quite easy to use. Plus, there’s a mesh gear pocket suspended from the ceiling line for stashing small items. Getting good tension is important to minimize sagging (as it is with any hammock). Overall the Hennessey Hammock Expedition is a great option for sleeping anywhere where gear weight is an issue, and there are trees (or cave walls) to suspend it. When I first got my Jetboil, I remember how I’d be eating way before my expedition members with white gas stoves. That was five years ago, and I still have the same Jetboil. It has lived in the Bisaro Anima Cave for three years, and has seen plenty of wear and tear. The extra character on my trusty Jetboil makes me love it more, and it’s still as dependable as ever. I wonder what stories it would have from living inside the deepest cave in Canada? This year, MEC helped us outfit the other camps with Jetboils, too. Our favourite recipe is dehydrated scallops, boiled and left in the water while we explore for the day. Then when we come back, we add miso and reboil everything. That is our morale-boosting appetizer we’ll rush “home” for any day.